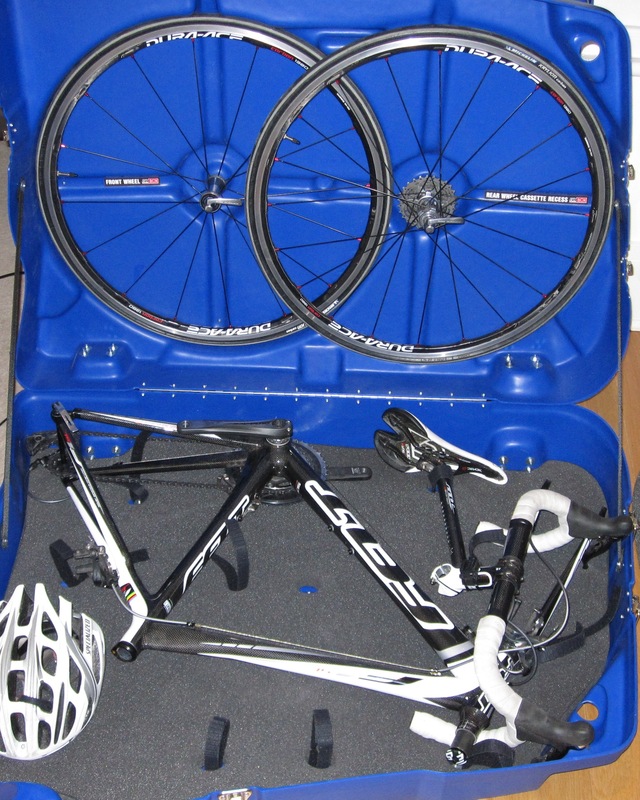 The club has three bike boxes available for members* to hire when racing or training abroad. Valued at over £400, these top of the range blue bikeboxalan boxes with 'Clapham Chasers' printed around the wheel arches will keep your bike safer in transit. The club has invested a significant amount of money in the boxes and if you would like to hire one please adhere to the following terms and conditions. * Members wishing to hire a box are able to do so on the proviso they have been a member for a minimum of 12 months prior to the date of making a booking, and that the hire is intended solely for themselves, and not for a non member. Members are able to hire only 1 box at a time. We are currently working with a new company called www.sportskitbuddy.com set up by one of our club members that manages a fully automated payment and booking system for hiring your bike box. Each Club box can be hired for £25 per week or £5 per day. Payment is taken after booking through the site. You must make sure that you have the club member ID code before trying to book a box or you will not be able to hire the box. This code is available by emailing claphamchasersbikebox@gmail.com and will be changed from time to time for security reasons. Do not pass this code on to anyone else, member or not. Bookings will be allocated on a first come, first served basis and there is a 48hr gap between bookings to allow hirers to collect and pack the box. Please note that you will be expected to pick up the box from its previous hirer who of course will be local to Clapham. The previous renters details will be available on SportskitBuddy so it will be up to you to contact them and arrange pick up. To book a box please follow the above SportsKitBuddy link and register with the site. It is very straightforward and after entering the dates you want you will be able to see which box’s are still available for hire. (You can only book up to 1 year in advance). In the event all the club boxes are booked there is now a facility where club members can put their own bike boxes on to the site with hire exclusively for Chasers. These members will be able to charge what they want and may wish to set a deposit for their box. It is expected that you return the box in the same condition you received it, taking into account reasonable wear and tear. Please treat the club box like your own luggage, covered by your insurance (boxes are not covered by club insurance). If the box is damaged or lost by you or the airline you're travelling with, it's your responsibility to repair or replace it. Please ensure the club is immediately informed of any damage (locks, wheels etc) and losses (pole, foam padding etc) should this happen. We have the means to repair parts of the box and rely on our members to let us know when something is damaged or needs to be replaced. Detailed instructions on using the Chasers bike boxes can be found here.